Make sure you load a compatible borderless paper size and type, then follow the steps below for your operating system. 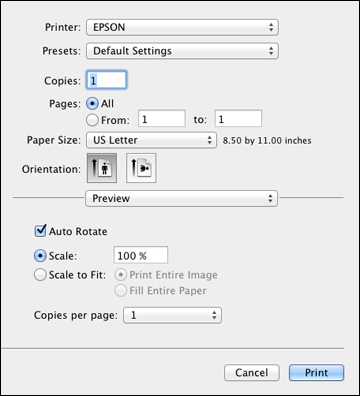 Select a borderless paper size as the Document Size setting. Note: You must select a compatible borderless paper type and size to print borderlessly. Check the borderless paper compatibility list for details. 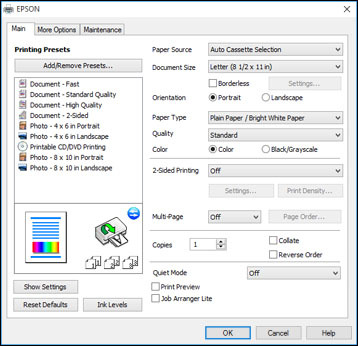 You cannot print borderlessly with a custom paper size. 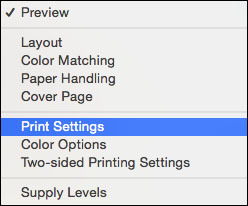 Select a borderless paper size as the Paper Size setting. 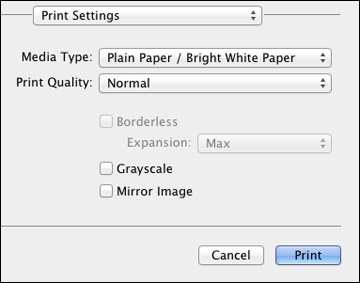 Select a borderless paper type as the Media Type setting.